Please join us for a very exciting Coffee & Code on Monday, January 28th, to talk with employees from Microsoft about their experiences working for an industry giant! They’ll share details about their career paths and answer professional questions! Please save the date and be sure to join us! 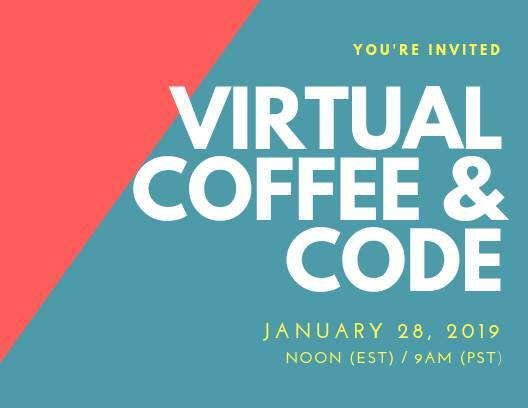 Virtual Code & Coffee events are relaxed, informal, and are intended as a way for our community to work and play together while providing each other with ongoing support and feedback. All are welcome regardless of gender or skill level. Meet new people and learn about tech. This meetup is great for active military service members, veterans, spouses, and military families who want to learn about coding. This C&C event will be recorded.